Valentine’s Day has become, for the most part, a commercial holiday where merchants all vie for the Valentine’s Day card, flower, gift and dining business. If a florist does not make a big profit on Valentines Day and Easter the entire year will prove dismal. This is not the way for which the day was intended. 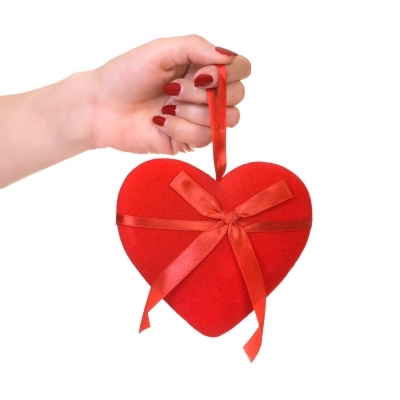 St Valentine sent his ‘heart” to a woman while he was imprisoned. That woman was not his wife or his lover but the daughter of the jailer who was in charge of his captivity. She was a woman who suffered from blindness whom he was asked, by her father, to heal. They both shared a great compassion for one another and all humanity. Why not make Valentine’s Day a day of sharing love, as intended, with your family, friends, neighbors and strangers. Make it a day for your children to do something nice for their classmates and teachers. Everyone can share in activities that can be both fun and rewarding and they need not be costly. Here are some suggestions that can add meaning to what has become increasingly commercial. Create Valentine’s Day Treats – Make it a family tradition each year. The Florida strawberry crop is at its peak in February and the red berries are perfect for the occasion. Make strawberry cupcakes for the kids to bring to school, for your co- workers, perhaps a lonely neighbor or even share them with the homeless or elderly. How about chocolate dipped strawberries? Everyone will enjoy dipping these special treats almost as much as eating them every year. Martha Stewart has a huge list of creative and delicious treats to give out to all your valentines. Send Valentine’s Day Cards – Dare to be different. Send out Valentines Day cards to the troops, the ailing, your neighbors, your children’s friends, classmates and teachers and anyone you can think of that would appreciate a little love in the mail. Avoid the busy stores and overpriced, generic cards. Order inexpensive, custom made cards from Treat. You can add photos and text to make them extra special. Organize a Picnic or Annual Day Trip – Depending upon where you live, there are many day excursions that you can make an annual Valentines Day tradition. If you are fortunate enough to live in a warmer climate consider an annual picnic. If you live in a colder area maybe an annual sleigh ride followed by roasting marshmallows. Even a trip to the aquarium or zoo could become a Valentines Day yearly outing. Your state or county should have a site with ideas for places to visit. In NJ, my kids love going to the Adventure Aquarium, playing laser tag and rock wall climbing. Make a Valentine’s Day Scavenger Hunt – This is one of my favorite traditions that my mother used to do while growing up that I have passed down to my children. It is so much fun waking up to find a paper heart on your door that sends you all over the house (and sometimes outside) and leads you to a basket full of chocolate and presents. The Balancing Beauty & Bedlam blog gives some great ideas for the scavenger hunt. It is so much fun as the planner as well, brainstorming places to hide the clues and creating cute poems to lead the scavengers. Valentine’s Day can become more than just a day for husbands to buy gifts for their wives, although that tradition must be preserved too. It can also be a family day that instills values in children and creates a day that everyone will look forward to all year long. This year, try using your imaginations and see what great ideas you and your loved ones can derive, that will become your special Valentine’s Day traditions. Thank you! I love the treasure hunt idea! I am going to start getting things ready for that. I know my kids would love it too! I think a scavenger hunt would be a lot of fun. I will have to check out the other blog for some more creative ideas. Thanks! I really like the Make a Valentine’s Day Scavenger Hunt. It would be a great idea to include the little ones, and they love hunting for things. I like using the after-holiday sales to stock up on chocolate and craft supplies, and celebrating the special occasion sometime later on a day of our choosing. I don’t like the commercialization of the seasons, but I love taking advantage of sales! Love the scavenger hunt idea. I will have to incorporate it into many holidays. Since I read your post I was inspired to celebrate all our holidays/birthday by sharing something special with someone that is either alone, sick or confined. We just celebrated my birthday by bringing art supplies to our local nursing home== to my surprise one of the residents had been an artist and although in a wheel chair he promised to give classes to residents.